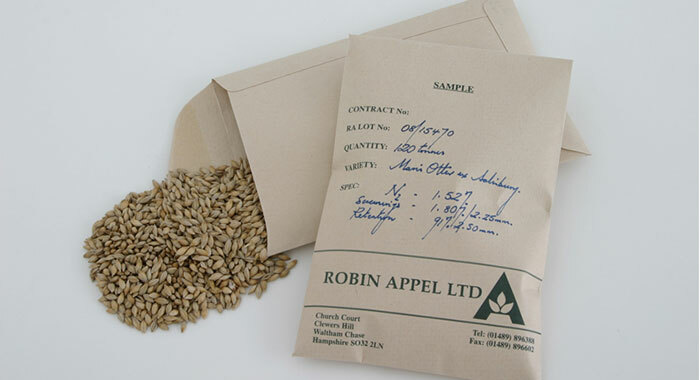 The best malting barleys in the world are grown in a maritime climate, which beyond the British Isles are few and far between. Within this, the soil type also makes a marked difference, the best soil for barley described simply as “loam over chalk”. Within the UK this can be easily identified as “the Icknield Series”, which stretches south west from Yorkshire right down to the western tip of Salisbury Plain, namely Warminster. Our maltings sits “among the fields of barley” which can be emphatically described as potentially ‘the most fit for purpose’, and annually forms the backbone of our barley procurement programme. Warminster Maltings can offer brewers the opportunity to have domain over their barley/malt supply. This can be barley grown on a farm close to the brewery, creating a truly ‘local’ product, or we can construct individual “appellations” categorised by variety of barley, which include geographical domain, soil type, husbandry best practice, farm assurance and harvest quality criteria, as well as the malting protocols for floor made malt. Maris Otter barley was first introduced to British farmers, maltsters and brewers in 1965, and has endured for half a century. Normal market forces kept Maris Otter going until 1990. Then, intervention by barley merchant Robin Appel, sponsored by Wolverhampton & Dudley Breweries, formalised production contracts for growers in order to underwrite the crop for farmers happy to maintain production. Since then the craft brewing sector both in the UK and North America have driven demand for Maris Otter malt, with annual requirement increasing year on year. There are now indications that craft brewers right across Europe are also wanting access to Maris Otter malt. There is a good reason for all this. Maris Otter is a superb brewing barley, with an outstanding flavour profile which no modern barley even begins to replicate. Warminster Maltings is one of only three UK maltsters with Organic certification. Crops of Spring barley and Maris Otter are contracted annually with established Organic growers with a track record of delivery. Contrary to conventional growers, who sometimes struggle to produce lower grain nitrogen levels, Organic farms can sometimes struggle to produce grain nitrogen levels that are high enough. The key is planting the Organic crops at the ‘front end’ of the crop rotation, a dialogue which we have established with our regular growers. Track record of top quality malting barley performance. Timely and tidy management of all field operations. Bespoke harvesting, conditioning and storage facilities. 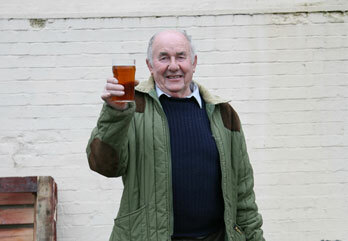 The farmer understands and enjoys a good pint of beer.